6/09. Catching up on some older stuff while I am gradually recovering from surgery. In December I was out for lunch and a short walk in Sunnyside, Queens and in just that brief time, mainly on Skillman and Roosevelt Avenues, I was able to find a number of examples of old-school signage…some of which looked as if it had been in place since the 1960s or even before that. 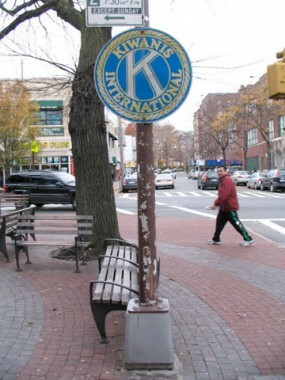 Skillman Avenue. Foremost Wines and Liquors; Wu’s Cleaners & Tailors. 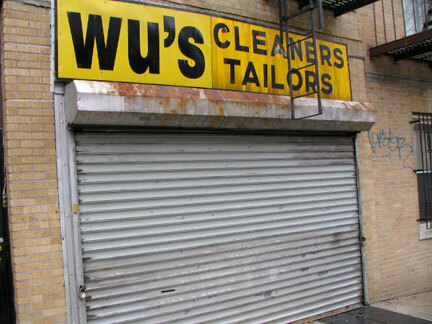 It appears as if the Wu’s sign has had the Wu’s placed atop an older name at a later date — the fonts don’t match. 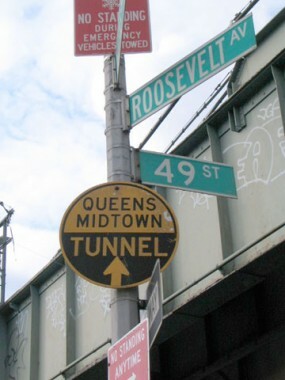 I’m not sure if the Department of Transportation is still producing round tunnel directional signs and arrowherad-shaped signs pointing to bridges. Some of them you see around town are decades old; these two, at Roosevelt Avenue near Queens Boulevard, appear to be rather newer. 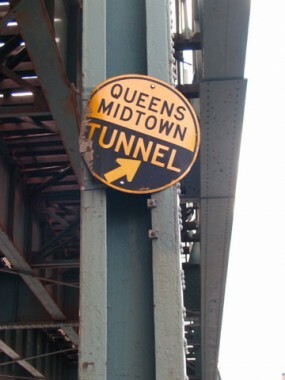 I hve several examples of very old arrowhead-shaped bridge signs and am waiting to get a few more before I post them. 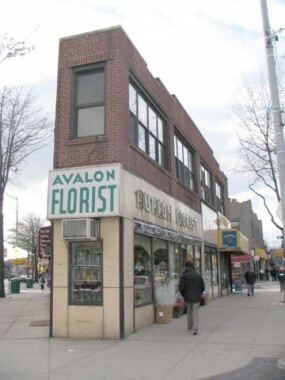 Avalon Florist, on the triangle-shaped building where Greenpoint Avenue meets Queens Boulevard. 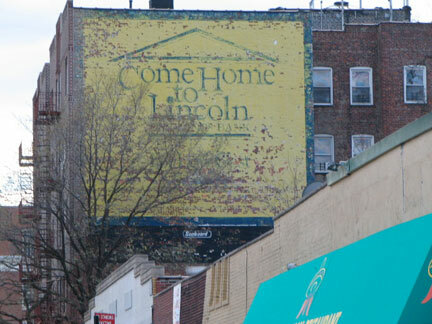 Off Greenpoint Avenue, “come home” to Lincoln National Bank. Lincoln was acquired by Chemical Bank in the mid-1990s and its assets ultimately became part of JP Morgan Chase. The ad likely dates from the late 1970s. 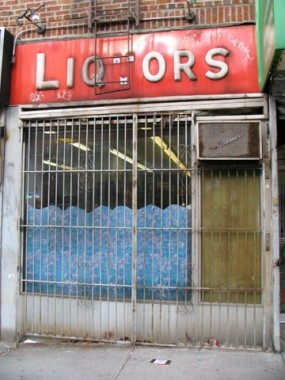 We’ve seen that liquor store ads by far have the greatest number of vintage signage, neon or not, in NYC. 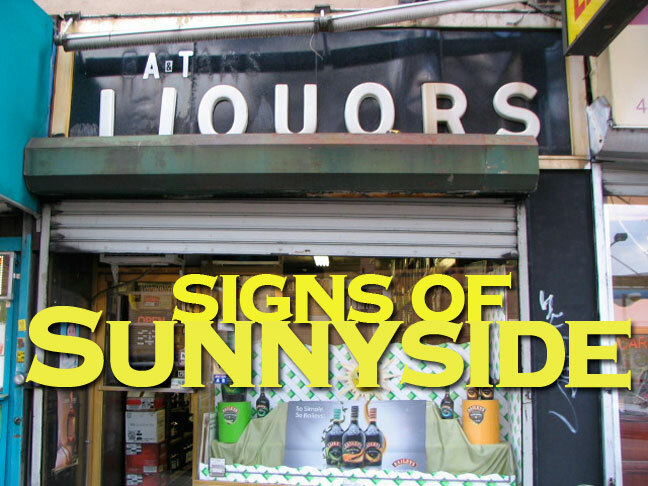 The ads do their job– spell out what you can expect to see in the store, and proprietors have no need to change them. 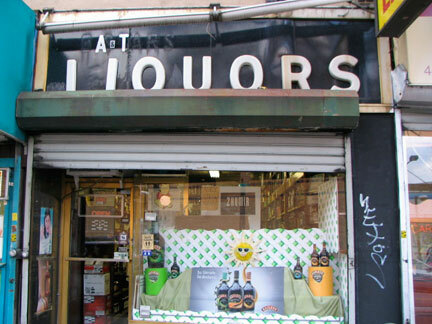 This one, on Greenpoint, was cleverly altered from a name containing an A and a T to simply A & T Liquors. 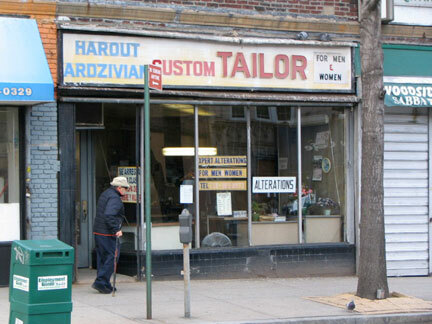 Tailor across the street on Greenpoint Avenue. Yes, Avalon is still owned by the Avalon Family! In my youth in Sunnyside during the ’30s, ’40s and ’50s, there was a real estate office where the Avalon Florist is today. 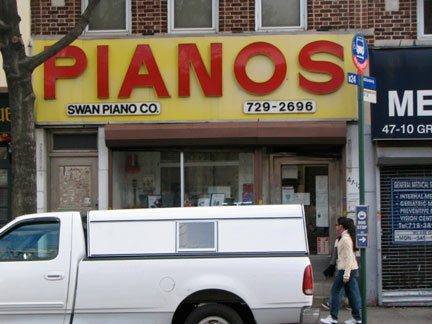 They had a large panoramic photo in their window on the Queens Boulevard side, taken looking West on the Boulevard from that office’s location. It showed the trolley cars running in the roadway with the autos. In later years the trolleys ran under the El where the parking area is today. The trolleys went in 1937 but the area under the El remained dirt with occasional wooden ties showing until it was paved for parking in the ’50s. 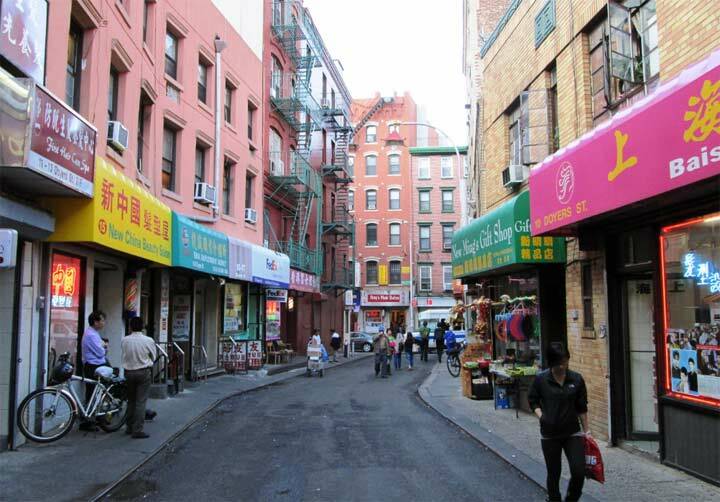 Lived in Sunnyside all my life.i’ve worked all over city for40 years.It ‘s still the best neighborhood in the city.